Employee remuneration expectations – frequency or value? In this article on employee expectations we look at ‘remuneration expectations’ and how they impact employee engagement. We all want to be paid a fair wage for a fair day’s work and remuneration is certainly near the top of employee expectations. It is not, however, the primary motivator for a good many of us and vies for position with the quality of the workplace environment, being appreciated and having a competent, responsive manager. Most employees understand that a company has different pay grades and that they cannot expect to earn more than someone else who does the same job. Having said that, the increasing problem of those being paid below the living wage can create tensions for many companies. If you want to earn a higher salary, the excepted way of doing it is to take on more responsibility and possibly undertake further training. For those who want higher pay, this can often be the sticking point, particularly if they are not self-motivated enough to develop their own careers. Asking the right questions, and analysing each individual employee’s real engagement factors ensures managers and the wider organisation provide an environment that retains their best talent. Employee remuneration expectations can vary depending on the amount of pressure they are under, the type of work they have to do and the environment they work in. Even individuals in a particular office might have different views about whether they are paid enough or not. A competitive and career minded individual will more likely see their worth in the amount that they are paid, or have the potential of earning, compared to someone who just wants to come in and get their allotted work done. Wanting higher pay can be a signifier of personal ambition which could mean that a top performing team member may look elsewhere if they don’t achieve what they hope for. It can also be a pipe dream where an individual wants more pay but is not prepared to get the work and study done to reach their target. Linked to the desire for higher pay, is the need for them to be delivered quickly. Most businesses have a yearly incremental increase in salary but that might not be enough for some employees. This could be a sign that they are moving quickly up the ladder or it could be that their ambitions are outstripping their actual ability. Impatience can be a virtue but it can also signify that an employee is more likely to look round at other companies rather than stay put and contribute to the development of an organisation. Those who want to develop their own careers necessarily have to be self-motivated. This can be a difficult one to gauge particularly if the employee is deluding themselves about just how much they have in the tank for climbing the corporate ladder. There may well be good signs for self-motivated behaviour such as learning new key skills and being open to challenges and these can mark out an employee as someone who needs to be handled sympathetically and nurtured if they are to stay with the company. Does everyone in the group have the same remuneration expectations? Finding out what employee’s remuneration expectations are can be highly enlightening; by using Harrison Assessments engagement and retention analytics we can explore them in detail. This group considers earning higher pay levels to be only moderately important and thus, it is only moderately important to carefully explain how higher pay can be achieved. This group considers quick pay increases to be unimportant. Consequently, this group is probably not going to be too impatient about achieving higher pay. This group has a strong tendency to be self-motivated independent of consideration about remuneration. Managers can measure an number of key employee expectations, the intrinsic behaviours that drive individual and group engagement. This helps to understand any differences between an employee as well as looking at the overall group or team’s expectations. These insights facilitate the essential dialogue between employee and manager, fostering a shared responsibility for engagement to build a culture of employee engagement. Do high performers want, or need appreciation? 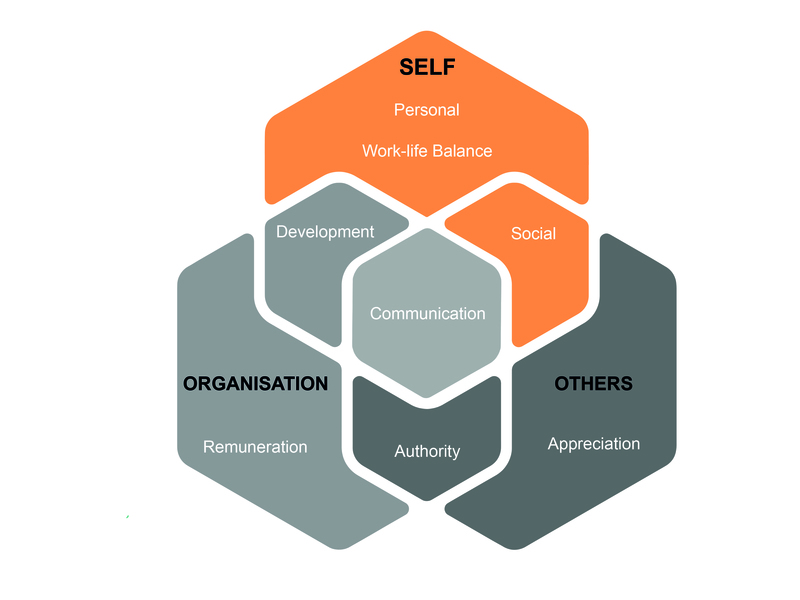 Appreciation Expectations – do high performers have them? This article on employee expectations looks at ‘appreciation expectations’ at work and how they impact on employee engagement. Most employees have appreciation expectations and want their contributions to be valued and recognised. However high performing employees may not need external appreciation, relying more on their own assessment of their work, but definitely want recognition from their peers. So how does a manager discover each person’s expectations and meet them in the right way? Your organisation may well be able to attract top talent with a competitive salary but if their real retention and engagement factors are not met – they may soon be leaving for an environment where they can be met. Research by Monster.co.uk found that many of us don’t feel appreciated at work and employees even have put a value to it – they think compensation of £134 a month would cover the amount for not being thanked properly for their work. Asking the right questions, and analysing each individual employee’s real engagement factors ensures managers and the wider organisation provide an environment that retains the best talent. Employees who don’t feel appreciated, recognised or listened to are more likely to be unhappy at work than those that get a thank you and notice taken of their efforts once in a while. We all want to get some appreciation at work and those that receive it feel better and more secure. The trouble is that many employers and management staff don’t do it enough. Taking time to thank a member of staff for their great work can raise morale and put a smile on people’s faces. An employee who isn’t appreciated is going to care a little less about their job each day and bosses need to make sure that this basic social nicety is given more focus. If employee expectations in this area don’t match what the company provides then something will need to change. If an employee does a good job they want some kind of recognition even if it’s just sending them an email to thank them for all their hard work. Of course, there are some tireless employees who don’t want to be thanked and get embarrassed at being singled out for praise but that doesn’t mean they shouldn’t be shown some form of appreciation. It’s not just a simple thank you that employees may want. Recognition could mean the prospect of promotion or a wage increase, the chance to undertake some valuable training or not having those low grade jobs pushed onto them all the time. However busy the office is, there’s always time for some warmth, particularly as it helps create a better, kinder environment that improves productivity. During stressful times understanding and empathy can often go out the window but if your employee values this kind of interaction and expects it then there needs to be more effort made on these occasions. Most career minded employees will expect to have their opinions valued. There may be those who don’t put it high up on their list of priorities but most of us like to think we have something important to say from time to time. A low score for expectations in this area could also be a sign that the person in charge is not someone who likes to listen to other opinions. It’s all very well expecting to be appreciated but if you prefer to work alone and have less focus on effective collaboration then this could point to an imbalance between what is expected and what is actually the case. Creating opportunities for better collaboration in an office environment can improve social cohesion and also allow everyone to work more effectively as a team. Does everyone in the group have the same appreciation expectations? Finding out what employee’s appreciation expectations are can be highly enlightening; by using Harrison Assessments engagement and retention analytics we can explore them in detail. This group considers receiving appreciation to be reasonably important. It is reasonably important for management to communicate sincere appreciation for work contributions. This is best fulfilled with an occasional one-on-one communication that establishes that their contributions are understood and appreciated. This group considers receiving recognition to be moderately important. Consequently, it is moderately important to find ways to provide recognition. This type of recognition should be related to acknowledging their strengths and capabilities. This group has a strong tendency to express warmth and empathy. Consequently, it is more likely others will reciprocate with appreciation and recognition. This group considers it to be reasonably important for others to consider and value their opinions. Therefore, it is reasonably important that management listens to, acknowledges, and encourages their opinions. This group has a strong tendency to be collaborative with regards to making decisions. This is likely to cause others to reciprocate by being more receptive to and encouraging of their opinions. This article on employee expectations looks at authority expectations in the workplace and how they impact on employee engagement. Top of the list for high performing employees is their chance to act in a position of responsibility, making decisions and taking charge of people to achieve the organisation’s goals. As with most other desires, it’s one thing to want to be able to lead and another having the necessary traits to succeed. Discovering authority expectations can help organisations identify those people likely to succeed in a management position, those that still need further training and development, and those that aren’t cut out for it. It also helps to predict day-to-day work behaviours based on how an individual employee feels about management processes and how their performance is managed. Does everyone in the group have the same authority expectations? Finding out what employee’s authority expectations are can be highly enlightening; by using Harrison Assessments engagement and retention analytics we can explore them in detail. For instance, an individual might have the potential to take on a leadership role but needs to develop the motivation and soft skills for managing their team. This group has a moderate desire to work autonomously. It is important to consider this desire related to the amount of autonomy required or given related to the job. It is also important to consider the tendency to take initiative related to the desire for autonomy. This group has a strong tendency to take initiative and thus, the initiative is sufficient for the amount of autonomy desired. They will have greater motivation if given opportunities to take initiative. Assuming this group has the necessary experience and skills, give opportunities for initiative wherever possible and carefully explain the initiative that can and cannot be taken. This group has only a moderate desire to take a leadership role. And, this group tends to be moderately willing to accept decision-making authority. This group tends to be moderately willing to accept a great deal of structure placed on them by the organisation. 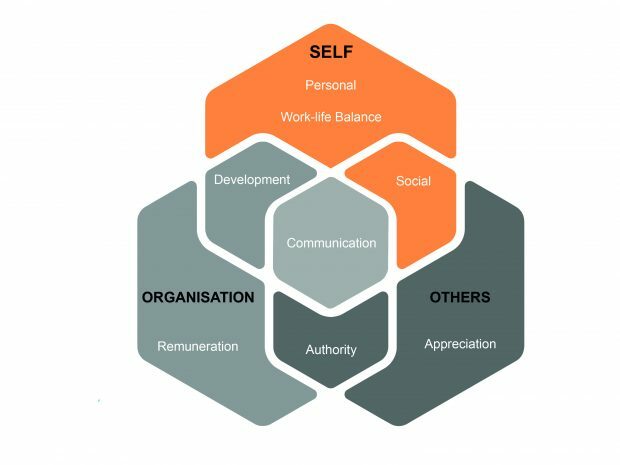 Authority expectations are key to understanding how individuals relate to the whole structure of a company and where they see the role within it. They are also a key indicator of how responsive individuals will be to coaching and further development, and what form this should take if the organisation wants to nurture their potential. Wanting autonomy can be a sign that someone, of course, doesn’t like being told what to do, or it could be an indication that an employee wants to except the challenge of leading within the company. The idea working towards being ‘your own boss’ is appealing because you don’t have anyone telling you what to do but it also means you are personally responsible when things go wrong. An employee who wants to have greater autonomy will need to handle the pressure and work within the structure of the company and that invariably involves developing new skills. More and more businesses are now looking for employers who have an ingrained sense of entrepreneurship and who are better able to take the initiative when needed. They don’t simply want people who get on with their day job but those that will come up with new ideas and new directions. Taking the initiative is one thing but can come with consequences if your employee gets it wrong and acts without telling someone. Taking the initiative can have a wider framework than just for those looking to take charge – spotting evidence of good initiative in employees can help mark them as candidates for future development and promotion. Despite popular opinion, leaders are made, not born. Someone needs to make a conscious decision to do it and they have to learn the skill sets and undertake the training to achieve their goals and have a clear awareness of where their weaknesses are and how these can be addressed. Just because someone wants to lead a team doesn’t mean that they are likely to be good at it. The urge to be in charge needs to be balanced with the work that has to be done to achieve success and other signs such as lack of self-motivation may be more pertinent indicators of a particular individual’s worth in this area. Being authoritative is not the same as being a leader. You need to have the capacity or the potential to take a number of staff with you and that only comes from being secure and confident in your communication skills as well as other abilities. All businesses have a structure and rules of conduct, hierarchies and the like that apply to staff whether they are working on reception or in the boardroom. A potential top performer who is not tolerant of structure and something of a loose cannon may well have to be given the appropriate advice and training to help bring them into synch with the company ethos. Organisations seek to to attract and retain the best talent for specific roles and more importantly – the right cultural fit. Even organisations that outsource their selection processes have told us that although outsourcing solves the initial sorting process it often does nothing for the ‘cultural fit’ of applicant to organisation. In fact, the CIPD recently published statistics showing that only 8% of organisations are actually happy with their talent management approach. In our experience there are a number of reasons for this – disparate methods being used at differing levels and in different areas of the organisation and the perception of cost and dissatisfaction with assessment tools are among the most common. So how do you measure company values? 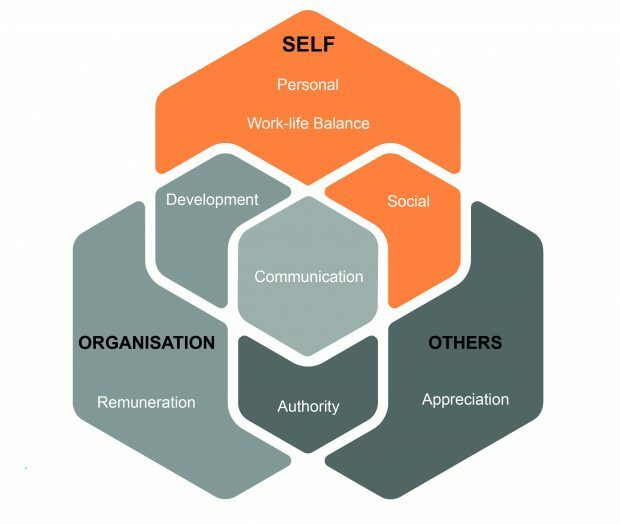 It has become common practice for business trainers/facilitators to help organisations identify their values and connect these to the behaviours expected in support of these values. Harrison Assessments helps to identify the behaviours behind the values in a way that hasn’t been easy before. How do companies measure employee performance against their values? The concept is simple. If something is important to us as human beings we will behave in a way that supports this value. So behind each value must be a set of behavioural competencies and behind each competency is a set of behavioural traits. Essential traits – optimism, persistence, self-acceptance, self- improvement, the ability to take initiative, enthusiasm for the role, the ability to be open and reflective and some warmth and empathy. Traits to avoid – rebellious autonomy, harshness, insensitivity, evasiveness, imprecision caused through speed, scepticism, permissiveness and slow precision. Taking a closer look at these you may say that some entrepreneurs will fit into this profile but others definitely not. So gaining a clearer picture was essential to fully understand what the organisation was looking for. All the other company values were analysed in the same way to produce an overall profile against which the company can measure accurately. So now the company has an accurate measuring tool as well as a clearer understanding of their own expectations in relation to their advertised values. This not only represents a huge cost saving in making sure they recruit people who will fit the culture, it highlights automatically areas for development for existing employees and forms the basis for personal development plans. A next possible step is to incorporate this measurement into the appraisal system thus making it easier for managers to have conversations which may previously have been avoided.